We find ourselves in the midst of reviewing (or juggling, as it's known in the circus) a few image editing packages at the same time. It's mind boggling. And we have a lot of sympathy for the Aperture gang that feels compelled by Apple to move on. The Pacific Ocean. Strong undertow, just like image editing software. Moving on is no small trick. In part, that's because finding an exact equivalent for what you were using isn't easy. That goes not just for Aperture users but any user of any software. It's also not feasible to translate your image edits to a new system, which inevitably involves leaving a lot of work behind or baking it in to the image file. We cringe when we see on one forum or another some frightened photographer taking a leap of faith to another product we know does not do what they are expecting. Or is so new that we know they're going to throw things at the wall in frustration with the inevitable bugs and incompatibilities. More than once we've watched a video tutorial demonstrate a simple technique that simply did not work smoothly in the current release. Any new release can suffer from that, of course. But the thing that really concerns us is this mismatching of software presumed to be equivalents. How do you safeguard against that? The trick to understanding a new product is to systematically walk through your workflow with it. There are free demos for the leading products that let you learn from experience what it will and will not do for you. That will prove whether or not it can handle your current requirements. You can drown in the details but the devil's in those details. You do have to dive in. And no matter how you shoot, you have a lot of requirements. Just off the top of our head they include ingestion, file conversion, copyright marking, archiving and backup before you even open a file. They may also include image cataloging, thumbnail generation and cloud syncing before any edit. Then there is the bitmapped vs. non-destructive approaches of each image editors. Which do you prefer? Or do you need both? There is the Raw processing to consider (including support for your current Raw file formats and how spry your new vendor has been with supporting new formats). And that can include advanced features like micro-contrast, dehazing and transforms. How well does each candidate layout the screen for editing? How much control do you have over it. Are you suddenly going to be forced from working on a light background to a dark one? Can you read the menu text on a high resolution screen? Are the tools you routinely use also available in the candidates? Including any favorite plug-ins? And what about output options like creating Web pages or slide shows? What about printing and sharing? We've spent years covering Adobe Photoshop, Lightroom and Elements; DxO Optics Pro; Apple Photos; Google Photos; and Alien Skin Exposure X. We've been working with Capture One 9 (and now 10) and just started exploring ON1 Photo Raw 2017. In our extended reviews we try to point out what each offering is particularly good at and where it falls short. We use the products to produce real work. That's our idea of testing. So we tell you how we created a project using the software. And when we run into a problem, we diagnose and report what you can and can't do about it. We'll often work on the same image in more than one product to compare the editing process as well as the results. 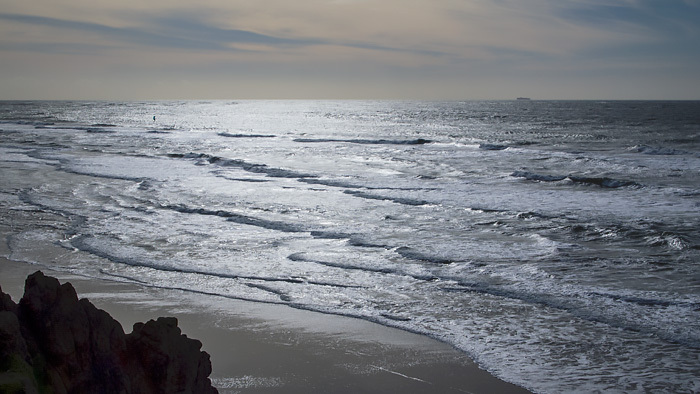 We ran the image of the Pacific Ocean above through both ON1 Photo Raw and Photoshop CC, for example. We published the Photoshop version because we know how to get from A to B with that software. If you have to make a move from one ecosystem to another, we don't envy you. Every little thing you don't know about your current setup will come back to haunt you as you adapt to the new one. But we're here to help. All you have to do is use the little Feedback button at the bottom of any article to save yourself from drowning in the details.